What’s the doctor’s prescription for this latest week? There absolutely is not anything which can’t be improved. I know what you’re thinking “mine is the best, I have already worked all the bugs out of it“. Problem is the general public is going to respond to that by saying “yeah, yeah we’ve heard it all before“. Remember, in something like 1926, someone thought they were going to have to close the patent office because everything had already been invented that could be invented. Really? Can you imagine being without the transistor, computer, integrated circuit microchip, lithium batteries, solar cells, etc.? Now before you laugh and point your fingers at that man or woman and how stupid they now appear, let’s put the same facet of thinking into your own business and your own methodology. I hate to break it to you, but even YOU, yes you, can improve and should improve! Because when that little voice creeps up inside your head saying, “ Me? Not me? I don’t have to improve. Mine is the best, I have already worked all the bugs out of it,” I want you to think of that person who was sure we needed to close the patent office. You’re deceiving yourself and hampering your business if you don’t open your eyes to the changes that can be to your benefit. One place most every business falls short at some point is in FOLLOW-UP. And I mean consistent follow-up. Sure you may have done it for a while or you meant to do it and want to do it but phones ring, emergency emails pop up and by golly your attention gets diverted, distracted or re-directed. Sure, go ahead and assure me you’ll get those 2014 “Thank You for your Business” notes written sometime before months end. 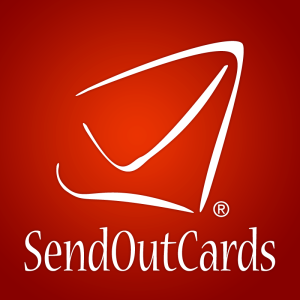 SendOutCards will automatically create, publish, print, fold, address, stamp with a real stamp, insert into a pretty, cursive-handwriting addressed envelope and get it to the post office without you lifting a finger, once Ralph, “guywithtwofirstnames.com” has it all set up for you. Appreciation You Can Touch. See, now don’t you feel better?